The major season of golf is upon us. It technically starts with the Masters at Augusta in April, but it is June, July and August when the schedule becomes choc-a-block with the biggest events in golf. The US Open, the second major of the men’s season, begins next week at the treacherous Oakmont, while the ladies are vying for the KPMG Women’s PGA Championship title at Sahalee Country Club in Washington this week. There are many interesting things to look forward to at the Women’s PGA, including the fact that world No. 1 Lydia Ko is the only player who has a chance to win a grand slam after her ANA Inspiration triumph earlier in the season. That is an achievement more difficult than in any other sport, including men’s golf, because the LPGA has five majors. 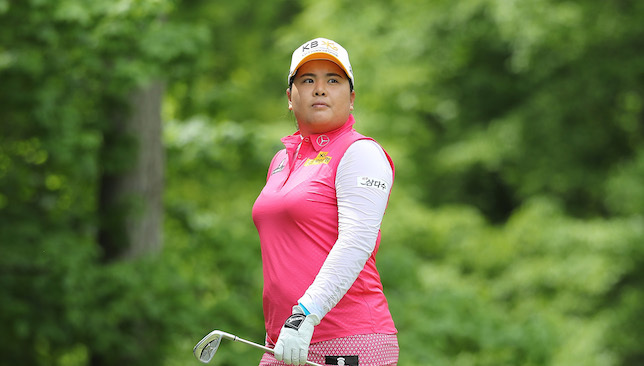 But all eyes will be on South Korean Inbee Park. The former world No. 1, now No. 2, has the opportunity to rewrite the record books as she bids to become the only player to win a major championship four successive times. If Park wins on Sunday, she will go one step better than two LPGA legends, Patty Berg (Titleholders Championship, 1937-39) and Annika Sorenstam (also Women’s PGA Championship, 2003-05). The best run among men is four successive wins (Tom Morris Jr at The Open 1868-1872 and Walter Hagen at the PGA Championship 1924-27). There’s a lot more at stake for Park, who just needs to tee off in the tournament to become eligible to enter the women’s golf Hall of Fame. The LPGA Tour HoF is based on performance and Park, meets every criteria having won seven major titles and 17 LPGA Tour events since turning pro in 2008. The other player who is bound to be in the spotlight is Thailand’s Ariya Jutanugarn. The 20-year-old won her last three consecutive tournaments last month and is hoping to make the most of her hot form and secure her first major title this week. Maverick McNealey is the second highest ranked amateur player in the world. Winner of the prestigious Haskins Award last year for being the American collegiate circuit golfer, he also happens to be the son of the billionaire founder of Sun Microsystems, Scott McNealy. Previous winners of the Haskins Awards include Tiger Woods and Phil Mickelson, and each of them have gone on to have a career in professional golf. But Maverick, who is in Stanford, is not sure. I am not sure which way the 20-year-old is going to lean, but I am pretty certain Sun Microsystem does not need him over the next few years. He can easily play a few years of professional golf and then get back to business if he doesn’t like it. There are no doubts about his academic, or golfing, capabilities, but it will be a criminal waste if golf fans are denied the opportunity of enjoying his immense talent. The Ian Poulter situation with the European Ryder Cup team is really interesting. Obviously, the talismanic Englishman, holder of the best winning record for Europe in the history of the tournament, has ruled himself out as a player for the showdown at Hazeltine. Captain Darren Clarke wasted no time in securing his services as one of his vice-captains. There can be no arguments about his Ryder Cup credentials, but Poulter has struggled with his form lately. In fact, his last win was way back in 2012, at the WGC HSBC Champions. Since finishing second at the 2013 Turkish Open, he has had only two third place finishes in the last two years. He has dropped to No. 86 in the world. But Match Play is a completely different ballgame, and there is every possibility Poulter would have come alive seeing the Americans on the other side. There was a lot of debate whether he’d be a good or a bad choice as one of the wildcard picks for Clarke. Thankfully, the captain has been saved a lot of thinking. Joost Luiten, posted video of two hilarious techniques with new putters – the first one with a ladder around his neck (no kidding! ), and the second with a vacuum cleaner. It has become viral on social media. Check out his twitter handle @joostluiten. 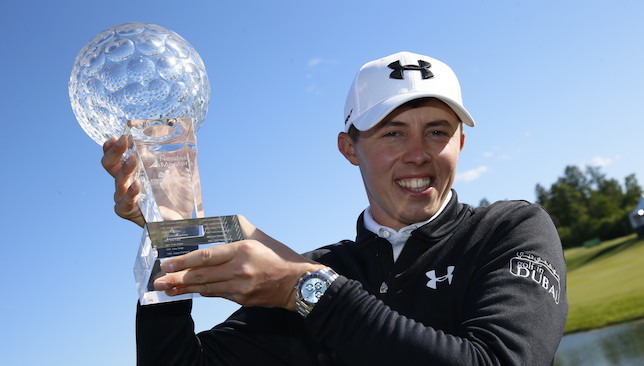 Matt Fitzpatrick admitted he was “a million miles” ahead of schedule after claiming his second European Tour title in the Nordea Masters to boost his chances of a Ryder Cup debut in September. The 21-year-old from Sheffield carded a closing 71 at Bro Hof Slott Golf Club to finish three shots ahead of Denmark’s Lasse Jensen, who secured his place in the Open Championship with the best finish of his career. And the first prize of €250,000 saw Fitzpatrick move within €500,000 of the total which secured Jamie Donaldson the final automatic Ryder Cup qualifying place for Gleneagles in 2014. “It’s something I’m trying to play down a little bit,” said Fitzpatrick, who finished seventh in the Masters at Augusta in April. “I’m really trying to play each week as it comes and there’s still a long way to go before then, there are still three majors and anyone can win them. Wow! Can't believe it, what an amazing week it's been in 🇸🇪! Loved every minute of it!!! Asked if he had achieved more than expected following his maiden win at the British Masters last year, Fitzpatrick added: “Completely, a million miles ahead of schedule. “It’s been a tough few weeks to be fair. After the Masters I had three missed cuts in a row and didn’t play as well as I’d like last week (in the BMW PGA Championship) and all of a sudden you turn up this week and pick up a win. Fitzpatrick took a five-shot lead into the final round and extended his advantage with a birdie on the second, only for former Ryder Cup player Nicolas Colsaerts to close the gap with a birdie on the sixth and eagle on the ninth. Colsaerts also birdied the 10th from 30 feet and when Fitzpatrick three-putted the same hole from long range his lead was down to two, but Colsaerts then bogeyed the parfive 12th before Fitzpatrick birdied to restore a four-shot lead he was never in danger of relinquishing. Winning in style: Jordan Spieth. As fans of the game, there are players who you want to see winning a tournament in a certain style. Very few players are able to create a signature finish, but when they do, it is a special moment for the spectators. Take Seve Ballesteros for example. The dream final hole from the legendary Spaniard would include a wild hook into an almost unplayable position, and then him hitting the most outrageous second shot from in between the trees to 15 feet for a birdie. With Tiger Woods, there would be no such dramas. You expected him to start the final day with a lead, and play spectacular shots without letting anyone come within sniffing distance of the trophy. We really have been very lucky in this regard the last two weeks. Jordan Spieth’s win at the Dean & DeLuca Invitational on Sunday, and Rory McIlroy’s the week before at the K Club in Dublin, were just the finest examples of signature finishes in golf. Spieth, trailing by three shots at the turn on Sunday, completed the back nine in just nine putts – draining a 25-footer curling putt for birdie on the 16th and then dropping a 34-foot bomb for another birdie on the 18th. In between, he chipped in on the 17th for another birdie. That’s how you want the world’s best putter to win a tournament. McIlroy did it in similar fashion at the Dubai Duty Free Irish Open. By coincidence, he also chose the exact holes which Spieth decided to show his brilliance on. McIlroy smashed two stunning tee shots on the 16th and the 18th, and followed it with a three-wood shot to the heavily protected 16th green, and a five-wood shot to two feet on the 18th hole. To finish with an eagle is always great, but that is exactly how you want McIlroy to set it up and win. 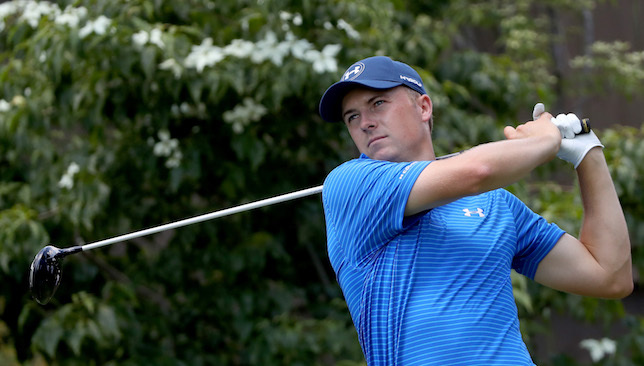 It seems everybody is making a Tiger Woods-like run these days in professional golf. It started with Adam Scott winning The Honda Classic and the WGC-Cadillac Championship in back-to-back weeks, and that was followed by his Aussie compatriot Jason Day triumphing at the Arnold Palmer Invitational and WGC-Dell Match Play. You then had the remarkable run of Thai youngster Ariya Jutanugarn. By winning the LPGA Volvik Championship on Sunday by five shots, she claimed three wins in three weeks in the month of May. The feat is unprecedented in the history of LPGA, although the record for win streak (despite missing tournaments in between) is five – by Nancy Lopez (1978) and Annika Sorenstam (2004-05). But even Ariya’s effort fades in comparison to what Matt Wallace has achieved on the Alps Tour. The London-based professional has played all six tournaments on the feeder tour. He finished tied third and second in the first two, and thereafter, he has won the last four. Alps Tour is recognised by the Official World Golf Rankings, and Wallace has climbed to No. 301 in the world. These really are outstanding efforts because any professional will vouch for the fact that going on a winning run like these is the most difficult thing to do in golf. Tony Finau: The American is known for his power game on the PGA Tour and a fan, Elisa Butler, faced the full fury of his tee shot during the third round of the Dean & DeLuca Invitational at the Colonial. The ball hit her on the head and she needed a few stitches. Finau was concerned for her well-being on the golf course as she lay there bleeding, but he did something much more meaningful than a signed glove. That evening, Finau showed up at Butler’s door with a get well soon card, flowers and a box of chocolates. Tony Finau struck a fan with a drive this week. No wonder he has earned a fan for life. Jack Nicklaus: The pre-tournament press conference at The Memorial was another example of why the players of yesteryears are such a hit with the media and rarely receive bad press. You can say Jack Nicklaus is the tournament host and he doesn’t have to bother much for practice rounds etc, but the Golden Bear held a press conference of 45 minutes, and then hung around for another 45 minutes in the media centre talking to individual journalists. Considering most player-managers today force the Tours to curtail the press conferences to 10-15 minutes maximum, it really was a grand gesture from the most successful golfer of all time. “He’s only 21 years old and he’s taking on these veterans and showing that it doesn’t matter how old you are, you can still put in the effort and do well.” – 13-year-old American Spelling Bee champion Jairam Hathwar reveals why world No. 2 Jordan Spieth is his inspiration.